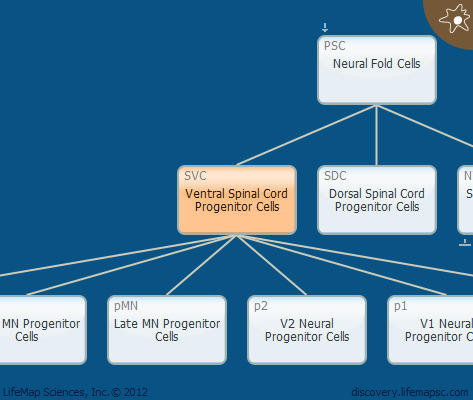 Ventral spinal cord progenitor cells are cells which lie in the ventral (basal) region of the primitive spinal cord. Some of these progenitor cells will differentiate into motor neurons. Therefore, this area of the spinal cord is defined as the motor half of the spinal cord grey matter.